Aidan Cain has had the worst week of his life. His gran died, he was sent to a foster home, and now malicious beings are stalking him. There is one person Gran told Aidan to go to if he ever got into trouble—a powerful sorcerer who lives at Melstone House. But when Aidan arrives on the doorstep, he finds that the sorcerer's grandson, Andrew, has inherited the house. 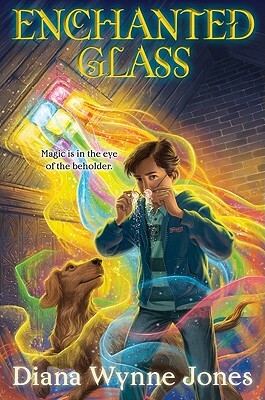 The good news is that Aidan can tell immediately that Andrew's brimming with magic, too—and so is everyone else at Melstone. The bad news is that Andrew doesn't remember anything his grandfather taught him. Chaos is swiftly rising, and he has no idea how to control it. A sinister neighbor is stealing power from the land, magic is leaking between realms . . . and it's only a matter of time before the Stalkers find Aidan. If Aidan and Andrew can harness their own magics, they may be able to help each other. But can they do it before the entire countryside comes apart at the seams?